The International College Provisional Office of National Taiwan University (NTU) held the third “NTU English Teaching Community” workshop this month. The intent was to build a community for professors interested in delivering their lectures in English. 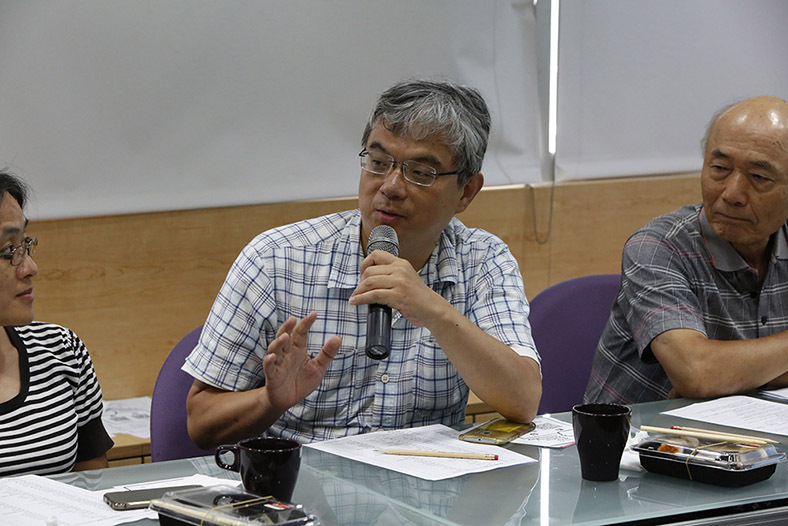 Hosted during the lunch hours of June 13, the one-and-a-half-hour workshop invited Professor Lin Yu-Chen (林郁真) from the Graduate Institute of Environmental Engineering as keynote speaker and was attended by over 25 professors from 19 departments. 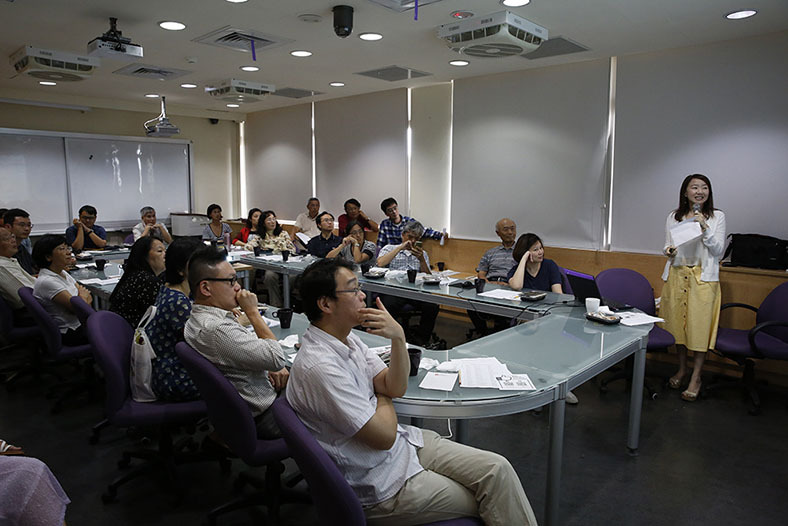 The “NTU English Teaching Community” was renamed from last month’s “Breakfast for English Teaching” workshop, initiated by the Office of Academic Affairs, it intends to build a community for professors interested in delivering their lectures in English. “NTU, as an international university, should help our professors connect globally and support their work to meet international standards. And the courses delivered at NTU should be on par with international standards as well,” Vice President of Academic Affairs, Kuo Hung Chi’s (郭鴻基) said in his welcome speech. He believed that the first step to attracting top international students to NTU was for the school to have more courses conducted in English. “Encouraging discussions among professors is one of the first steps and we hope to slowly form a community for mutual support. I really believe that our colleagues are one of the most precious resources at university and I am so happy to see such a great turn out,” he said to the full-packed room. Kang Shih-Chung (康仕仲), the Deputy Vice President for Academic Affairs, then proceed to introduce the keynote speaker, Professor Lin Yu-Chen (林郁真) from the Graduate Institute of Environmental Engineering, who also happened to be his former classmate in Stanford a few years ago. “Originally we were going to name our community ‘Breakfast for English Teaching,’ but Professor Lin said she’s sharper around lunchtime, so we had to rename the group ‘NTU English Teaching Community’ just for her,” Kang explained to the laughing audience. “Professor Lin is quite special,” Kang continued, having studied high school and college in America, she is fluent in both English and Chinese and her English lectures are immensely popular at NTU. 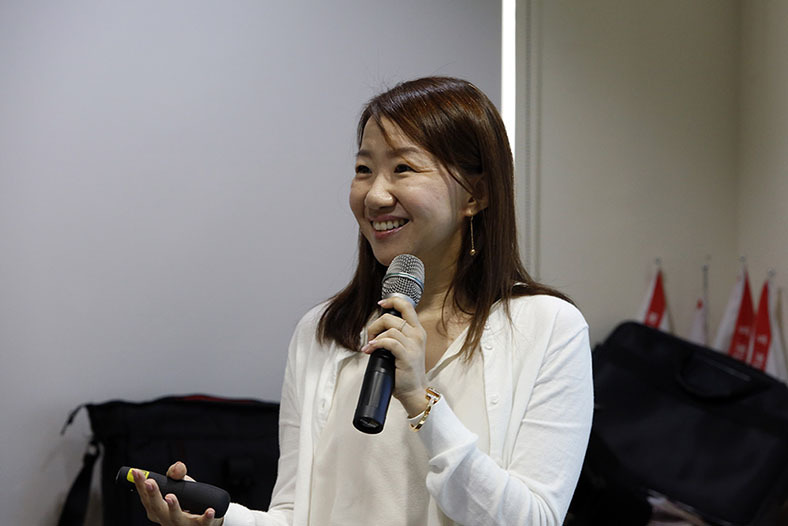 “She has also been involved with international work for a long time, so I thought she could give us a few pointers on English teaching,” Kang then invited the audience to welcome her to the stage. Professor Lin began her teaching career at NTU 12 years ago when she first returned to Taiwan from America. She was born and raised in Taiwan but moved to California when she was in middle school and later completed her undergraduate degree at Caltech and her Masters and Ph.D. at Stanford University, both in Civil and Environmental Engineering, before moving back to Taiwan again. Having lived abroad for so long, Lin had difficulty delivering her lectures in Chinese so she had always taught her courses in English at NTU and only more recently began to teach in Chinese. With a decade worth of experience, she shared her many experiences teaching classes of different sizes and student composition and focused on ways to bridge the language gap in classrooms. “My biggest fear when I first started teaching at NTU was that students didn’t understand my English and I would just be talking to myself the whole time,” Lin said. 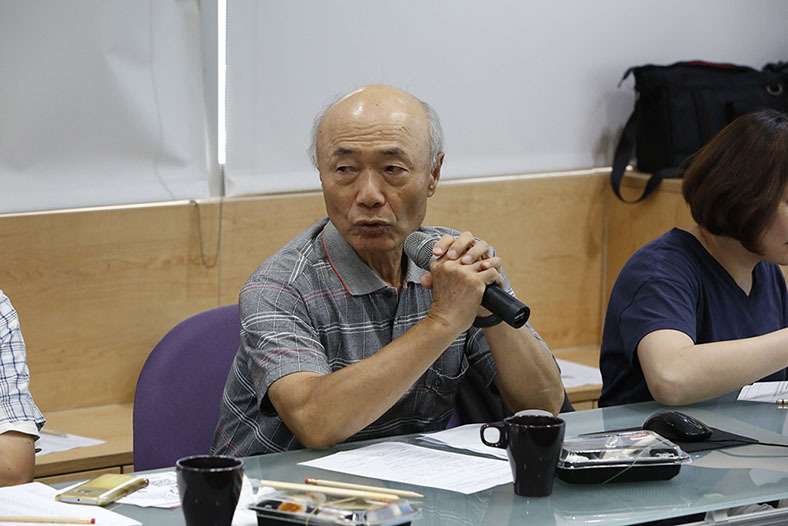 “But if you simply ask the students, ‘Do you understand me?’ they won’t respond, regardless of what language you use,” the audience of professors laughed when Lin pointed out the common challenge of engaging students in Taiwanese classrooms and some even nodded in agreement. Her solution was to tell a few jokes with varying degrees of language difficulty on the very first day of class. If she won a good laugh, she would know what tone of language should be used. But one of the dilemmas she faced was to decide if she should simplify her language as she often worried that English would pose as an obstacle for learning. “It’s true that students might feel a bit lost right after the lecture but by the end of the semester everyone is usually caught up,” Lin observed, and she also noticed that regardless of what language she taught in, students often made the same mistakes on exams, “So it’s really not a language problem,” she concluded. 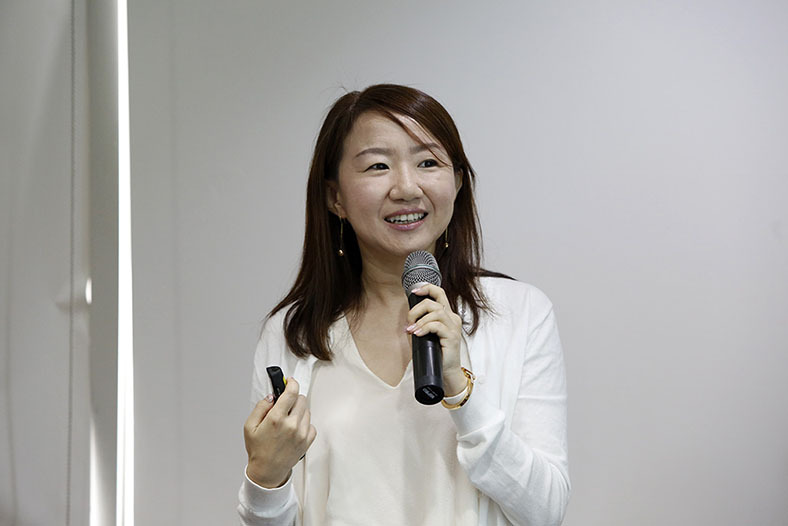 She also advised on giving handouts to students before the lecture with both keywords and detailed explanations and even explain the keywords in English or Chinese at the beginning of the class so students can follow the lecture more easily. But she believes that class size and course type can have a direct effect on the students learning outcomes and gave examples of different teaching styles. For courses with less than 30 students, Lin usually divides her students into small groups and starts the class with a group discussion exercise. The activity helps students get warmed up so they will be more willing to join classroom discussions later on. “But large lectures halls can be great too because you have a better chance of students understanding your jokes,” she said half-jokingly. She recommends teaching electives in English over required courses because students are usually more motivated to learn as they chose the course voluntarily. She also noted that enrolling international students can be beneficial because it will motivate both the professor and students to speak English. She had noticed that undergraduate students on average have better English than graduate students, “A student once told me, their English was at its best in high school!” so she recommends teaching undergraduate level courses in English over graduate ones. “Most students are actually very eager to practice their English and cherish the opportunity,” she said and full-heartedly encouraged other professors to give English teaching a try. 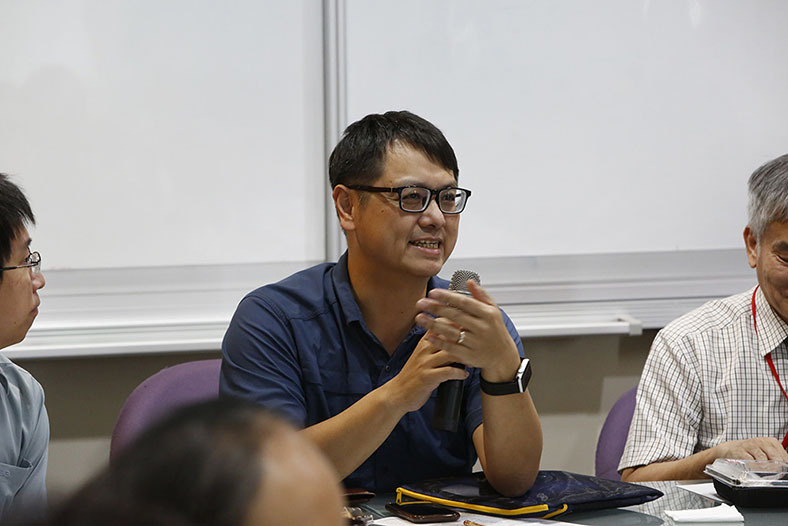 Professor Lin’s experience sharing was followed by a roundtable discussion hosted by Professor Kang, the Deputy Vice President for Academic Affairs. The discussion first surrounded lecture PowerPoint presentation styles as some professors suggested keeping the slide simple so students can focus on the lecturer. While others believed more content-filled slides can help students study better after class, especially those with poorer English comprehension. 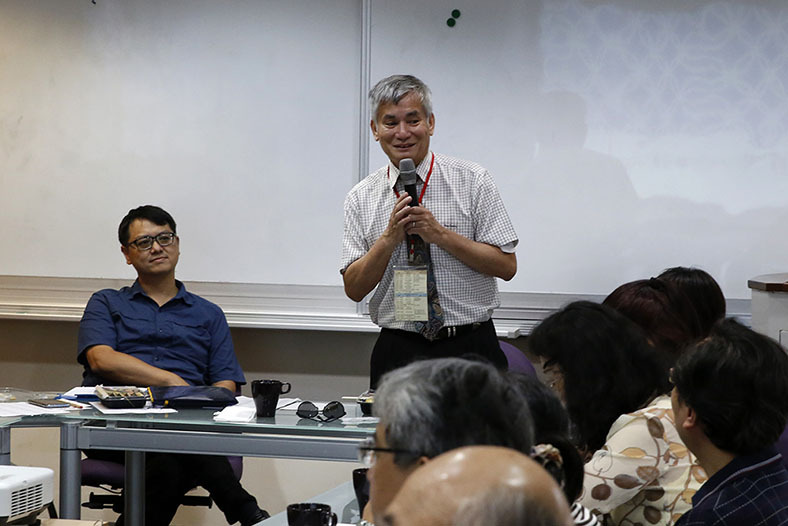 One professor brought up communication challenges faced by foreign professors at NTU and the Vice President of Academic Affairs, Professor Kuo said the office will be looking to better assist foreign professors. They plan to assign Taiwanese students as teaching assistants to foreign professors and make changes to administrative work such as creating bilingual row-calls. Kuo also said that more specialized courses need to be taught in English and the courses need to be more coordinated with modules. The Office of Academic Affairs will be first focusing on the department of economics and civil engineering since they will be expecting more foreign students from international dual degree programs in the next two years. The lunch gathering ended with an invitation from Professor Kang for everyone in the room to join the Facebook and LINE groups of NTU English Teaching Community. “After all, our goal is to build a community,” he said.